Build a clever storage wall. If space is limited, why not make your recycling containers work extra hard by turning their storage area into a boundary wall, as these smart homeowners have. 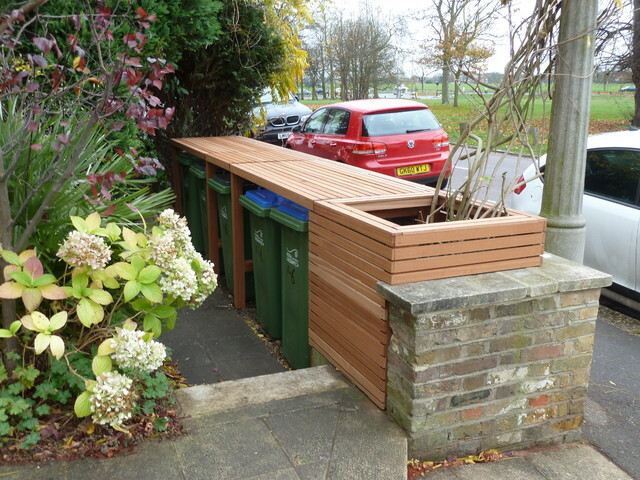 This neat wooden shelter screens the bins from the road while creating a clean, contemporary-style wall. Аккуратно обустроен уголок для хранения мусорных бачков. From a gorgeous home I photographed today in Aston onTrent, Derby.